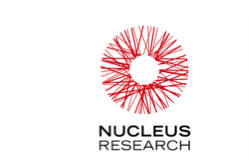 Companies who have invested in and implemented a CRM are only reaping 20 percent of the potential benefits of such a system, finds Nucleus Research in its recent Research Note – CRM: 80 Percent of Returns Are Yet to Be Achieved. Why are companies leaving so much opportunity on the table? Nucleus traces fifty percent of the unrealized CRM ROI to a lack of from integration, extension and collaboration. “Stovepiped silos of information, the limitation of a CRM application to a small number or particular group of users, and lack of user adoption and collaboration still need to be addressed by many CRM users,” according to the research. We, at Yesware, aren’t surprised. Companies are focused on “big data” these days, but where some stumble is in translating what all that information actually means. And how does the sales force—which gathers this invaluable market intelligence, turn it into something tangible like a lead or better yet, a closed deal. Turning data into actionable knowledge is key. Nucleus found that adding social collaboration to CRMs increases a sales force’s productivity by 11.8 percent. And with cloud-based solutions, salespeople can access their CRMs, plugins and apps from virtually anywhere, making the process of accessing their opportunities easier than ever before. Companies such as Salesforce, Xactly and Cloud9 round out the suite of tools that are making it easier to run an efficient and lean—yet profitable sales organization. So before your company goes out to spend more money on yet another CRM (Nucleus notes that the average firm is on its second or third system by now), consider moving your operation to the cloud and taking advantage of the ever-growing set of tools. It’s easy to test which apps work for you, customize what you need and drive ROI—no matter where you are.